As Catholic feminists, we’re fired up about our faith. We want to spread the message of the Gospel so that as many women as possible can live fearless, spirit-filled lives walking in the light of Christ. But modern society often disagrees with what that looks like, and no matter who you are, you probably spend a significant amount of time surrounded by people who disagree with you. Maybe it’s your college classmates who think being religious is synonymous with being an idiot, or maybe it’s your uber conservative coworkers who have Build The Wall bumper stickers. Maybe it’s your pro-choice neighbor who volunteers at Planned Parenthood, your priest who regularly gives homilies on the importance of women not working outside the home, or your mom who just doesn’t get why you’re so into that Jesus thing. 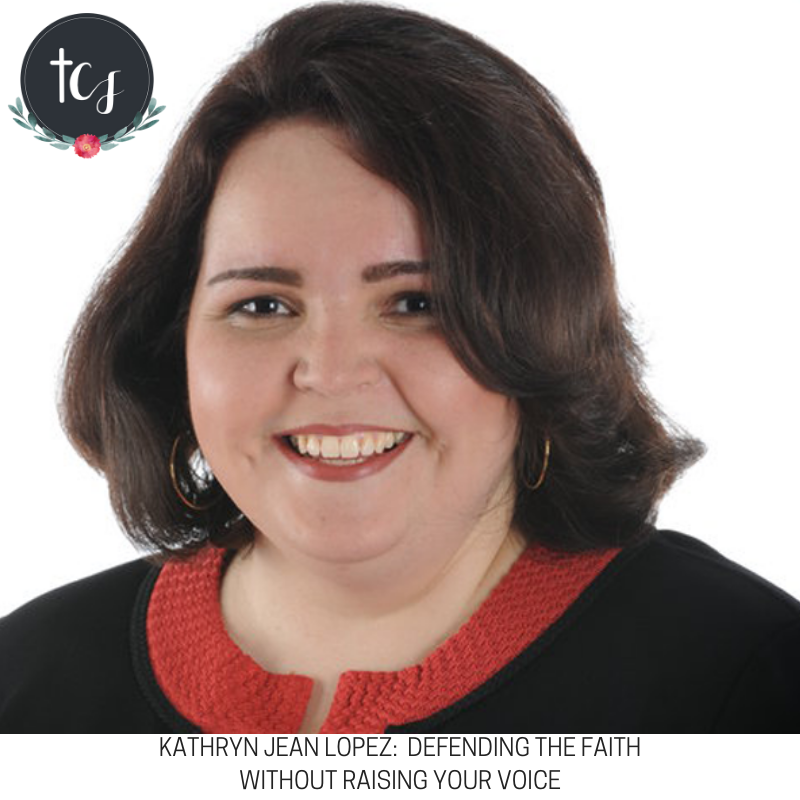 Kathryn Jean Lopez, a writer for National Review, has plenty of experience speaking with people who disagree with her. She’s here to share her wisdom on how to defend our faith without letting unrighteous anger consume is. We also chat about how she manages to write about heavy-hitting topics and keep the faith, why she thinks political boxes are so frustrating, and how adoration has been bringing her closer to God. Enjoy! Today’s episode is brought to you by Audible. To snag a free audio book, head to audibletrial.com/catholic. Today’s episode is also brought to you by Sock Religious. For 10% off a pair of cozy Catholic socks, enter FEM10 at checkout at sockreligious.com.